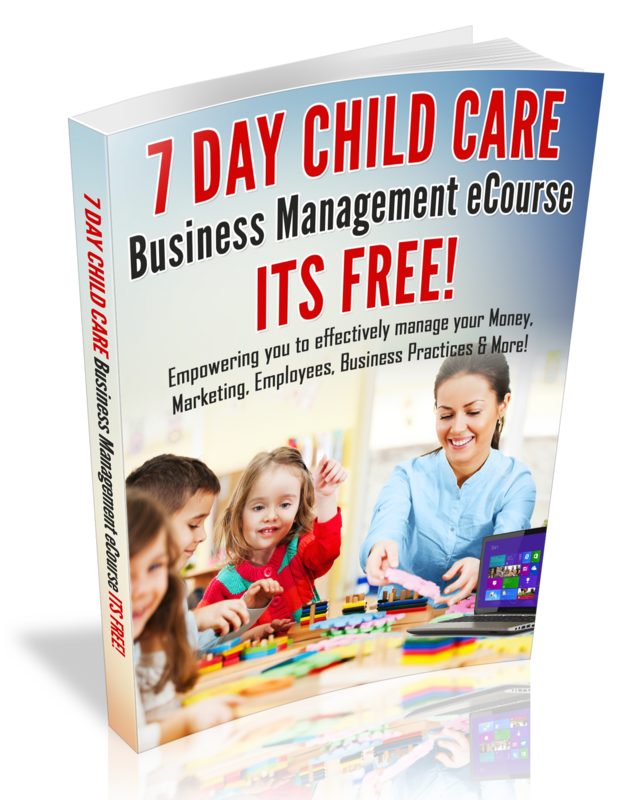 Throughout the month of October 2011 I have been sharing tips on how to create a healthier childcare business for young children. Now I want to inspire you to take care of you! In the summer of 2007, I learned the hard way about the importance of taking care of you. It was a busy summer and I was going to the store 2-3 times a week, lifting too much and not drinking enough water. Most of all, I was stressed. As a result of my busy schedule and too much stress, I ruptured a disc in my back. In addition to that, I was gaining weight, because I would go home in the evenings and eat away the stress of the day. When the emergency room doctor gave me the news that I ruptured a disc in my back, I was in tears and I knew I was working too hard. My mother was there and she tried to console me. In fact, she told me that if I needed her at my center, she would quit her job to help until I could return to full duty. The ruptured disc lead to two physical therapy sessions, back exercises and 2 -weeks of laying on my stomach. I was on light duty at my center and I could only stand to work for 2-3 hours a day, because sitting was so uncomfortable. That back injury was enough to cause me to decide to live a healthier life and to cut the hours that I spent at my business. I was also inspired to start a blog about healthy living after reading several health books. In this blog post, I am going to share with you the top five ways that I transformed my health. Drink Plenty of Water. Water is a regulator in the body (it helps to regulate body temperature, regulate blood pressure, it lubricates the disc in the back and so much more.) You only need to drink half of your body weight a day. For example: If you weigh 100 pounds, you only need to drink 50 ounces of water a day. Walk Daily. Walking is great for your heart health and it helps to reduce stress in the body. If your goal is to lose weight, walking is a great way to lose unwanted pounds. Consider going on a walk for 30-45 minutes a day for your emotional and physical health. If you can’t go every day, walk at least 3-days a week. Message Therapy. One of things that I love about owning a childcare center is the financial freedom that it has brought me. In fact, I have been able afford to get weekly or bi-weekly massages. The health benefits to massage therapy includes: stress reduction, helps to get rid of migraines, releases cancer cells, a great way to detox the body and so many other wonderful health benefits. It is definitely a great way to escape from it all! Eat Healthy. Eating healthy is a sure way to becoming a healthier you. In fact, when you eat healthy, you feel better. You can start by eating fruits and vegetables with every meal, eat more whole grains and consume less meat. Study shows that eating too much meat, could be raise your blood cholesterol level. Also, choosing healthier snacks such as: popcorn, pretzels, carrot sticks, celery sticks, whole grain cereal bars are a healthy way to snack in between meals. I hope that you are inspired to become a healthier business owner, so that you can enjoy the fruit of your labor. Be sure to leave your comments below about this post and I look forward to connecting with you on the Child Care Business Owner Facebook page. For more health & wellness tip, follow my Natural Living blog. *Disclosure. I am not a Physician and it is recommended that you consult your physician for any medial concerns that you may have. Are You In Compliance with the e-Verify System?